"Children have very deep feelings just the way everybody does." Focus Features has debuted a second official trailer for the documentary Won't You Be My Neighbor? about Fred Rogers, made by Oscar-winning doc filmmaker Morgan Neville (of 20 Feet from Stardom). This lovely, inspiring, heartwarming film is a look at how a man tried to make the world better by figuring out how to speak to kids and teach them the importance of compassion and understanding and helpfulness. I really love this doc and I'm happy to be quoted in this trailer near the end from my Sundance review: "This is the documentary we all need right now. It's a heartwarming, rousing film about how goodness makes an impact in society. It shows us that we can make a difference if we help someone else, if we support them, and believe in them, and remind them that they are perfect just they way they are." This really is the film we all need to warm our hearts now. You can still watch the first trailer for Morgan Neville's Won't You Be My Neighbor? here, to see even more. From Academy Award-winning filmmaker Morgan Neville, Won't You Be My Neighbor? takes an intimate look at America's favorite neighbor: Mister Fred Rogers. A portrait of a man whom we all think we know, this emotional and moving film takes us beyond the zip-up cardigans and the land of make-believe, and into the heart of a creative genius who inspired generations of children with compassion and limitless imagination. Won't You Be My Neighbor? is directed by American doc filmmaker Morgan Neville, of the films The Cool School, Troubadours, 20 Feet from Stardom, Best of Enemies: Buckley vs. Vidal previously. This first premiered at the Sundance Film Festival earlier this year - read our rave review. 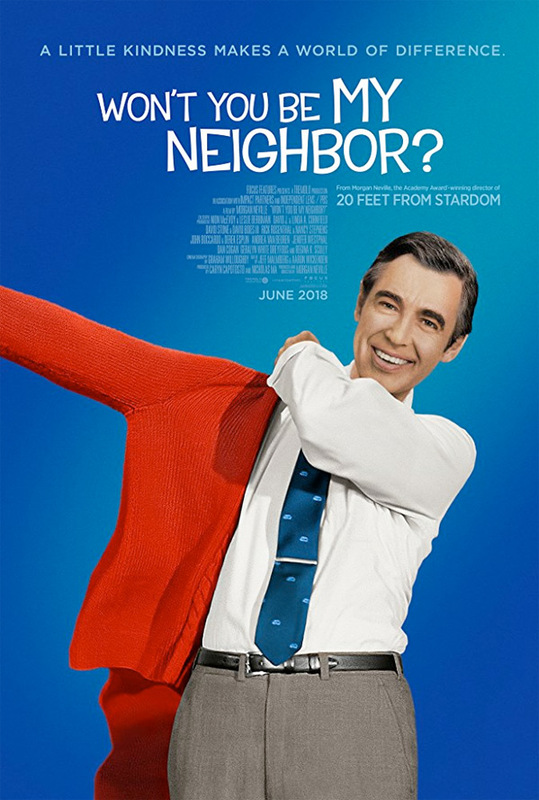 Focus Features will open Won't You Be My Neighbor? in select theaters starting June 8th this summer. How does it look?